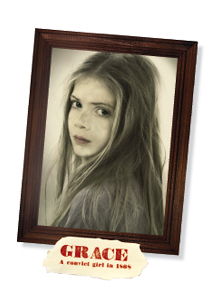 It's 1808 and young, orphaned Grace is living in London with her Uncle Ord. Families are starving on the streets, sanitation is poor and jails are overflowing. Uncle Ord is mean to Grace and they have no money. Grace, who is always lonely and hungry, has to work as a 'mudlark,' searching the muddy bed of the Thames River for objects to sell. After stealing apples, Grace is arrested and transported to Australia as punishment. On board the ship Grace makes a friend, Hannah. Grace's story is an example of the way Australia could mean a new beginning and is told in four exciting instalments. Read extracts of the available books. It's 1841 and Letty is farewelling Lavinia, her older sister who is embarking on a long sea voyage to Australia. There's a mix-up and Letty stays on board and finds herself setting sail for NSW as well. Lavinia doesn't want her little sister on the ship and Letty's frightened - what will become of her? During this period of history, Britain sent fewer convicts to Australia but also paid people like Lavinia to come as free settlers. In four years, from 1838 - 1841, 40,000 men, women and children emigrated to NSW. 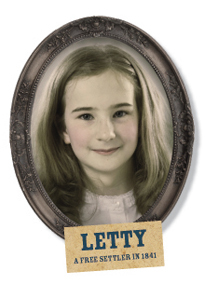 Letty's adventures, which unfold in four exciting instalments, is the imagined story of one of them. It's 1864 and Poppy lives at a mission near Echuca in Victoria. Of Indigenous and Chinese heritage, Poppy hates the mission, especially once her brother Gus runs away to pan for gold. Many indigenous children were taken from their parents and placed in missions where they were trained in household chores and as farm hands before being adopted by white families. During the 1850s and 60s, more than a third of the world's gold was found in Victoria and this attracted many people from all over the world. Poppy runs away to look for Gus but how will she survive in the bush? And will she ever find Gus? 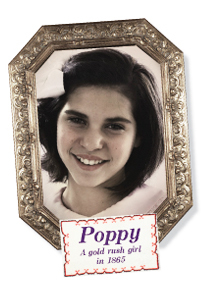 Poppy's story, told in four gripping instalments, is a glimpse into life at that time. 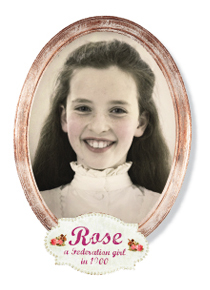 It's 1900 and Rose lives with her family in a big house in Melbourne. She wants to play cricket and have adventures but Rose's ultra-conservative mother won't let her. Then young Aunt Alice, a feisty suffragette, moves in with them and everything changes. In 1900, life was very restrictive for women. In most parts of Australia, women weren't allowed to vote, few got the chance to go to university and it was difficult for women to have careers of their own. Girls like Rose and women like Alice had to fight for the rights they felt entitled to. Rose's story, told in four exciting instalments, shows how rebelliousness and courage brought about change, making it possible for Australian girls today to have so many choices. It's 1849 and Nellie is arriving in Port Adelaide after a long journey by ship from Ireland. Nellie – along with her best friend, Mary – is full of dreams for a new life free from poverty and disease. In South Australia, she hopes to get a job, to learn to read and never to go hungry again. Over 4000 girls like Nellie took part in the Orphan Immigration Scheme, which transported suitable orphans from the workhouses of famine-devastated Ireland to be domestic servants in the colonies. Nellie battles the prejudice and limited opportunities that caused the scheme to end after only two years – and yet she never loses hope. Will her dreams of a better life ever come true? 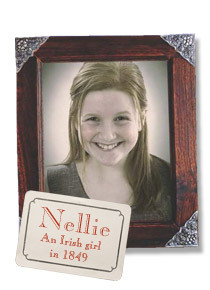 Nellie's story, told in four gripping instalments, celebrates the optimism, courage and character that our Irish ancestors have brought to this country. 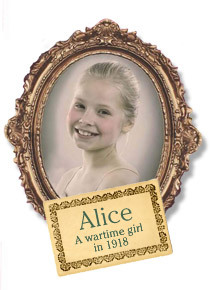 It's 1918 and Alice, a young ballerina, lives with her big family on the banks of the Swan River in Perth. Her father is off fighting in World War One and her mother has a job at a bank. Alice is left in charge, juggling her love of dance with the care of her brothers and sisters. Like so many young men of the time, her big brother, Teddy, faces growing pressure from the town to fulfil his duty and enlist in the army, but has promised Alice that he will stay. As the war drags on, Alice is drawn deeper into the drama it causes for those left behind to keep the home fires burning. Will life ever return to normal, and will Alice ever get to do the thing she loves most? Told in four exciting instalments, Alice' story shows the impact of the Great War, which touched every Australian home and family, changing lives and communities forever. 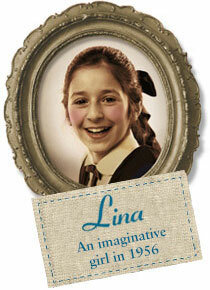 It’s 1956 and Lina lives in Carlton with her family. She dreams of being a writer, but her strict Italian parents have other ideas. Lina has been awarded a scholarship to a private girls school and she struggles to fit in with the other students there – to Lina it sometimes feels as if she comes from a different world! When Lina and some of the other students start a school newspaper, it leads to events Lina would never have imagined. It’s an exciting time in Melbourne with the Olympic Games are being held in the city that year, the first time ever in the Southern Hemisphere! And television has arrived in Australia, with people crowding around department store windows to catch a glimpse of this marvellous new technology. Lina’s story, told in four dramatic instalments, explores the waves of post-war migration and how Melbourne was a changing place as a result. It’s 1931 and Ruby lives a privileged life in a big home in Adelaide. But when her father’s business goes bankrupt, Ruby’s world changes dramatically and she and her mother are forced to go and stay with relations in the country. Ruby has to leave behind her beautiful house, her friends and even her dad, who is staying in Adelaide to look for work. At least she can take Baxter, her beloved fox terrier. But life in the country is hard! For Ruby it means a new school and a very different lifestyle. In the meantime, back in Adelaide Ruby’s dad has disappeared, and nobody knows where he is. 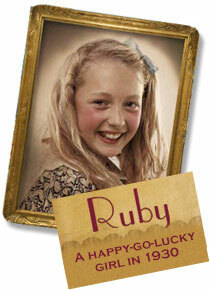 Ruby’s story, told in four exciting instalments, follows a happy-go-lucky girl in a time of great change. It's 1941... and the war is changing Pearlie's life every day. Darwin is full of soldiers, there's a spy on the loose, and people are turning against Pearlie's best friend, Naoko, just because she's Japanese. When everything falls apart, will Pearlie be brave enough to stick up for what's right, or will her old fears get the better of her? 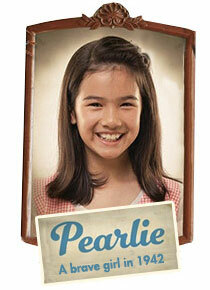 Meet Pearlie and join her in exciting stories about a courageous girl in a world at war. 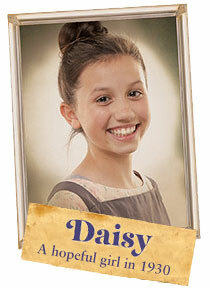 Meet Daisy and join her in exciting stories about a hopeful girl in troubled times. © Penguin Random House Australia Pty Ltd ACN 004 815 703. All rights reserved.